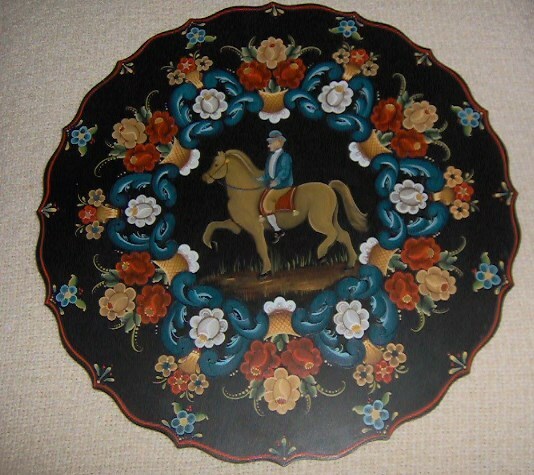 This 18 inch scalloped-edge plate is painted in the American Rogaland Style of Rosemaling. It features the horse in the center, which symbolizes strength in Rosemaling. 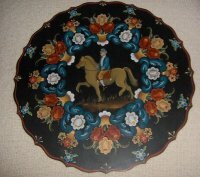 It is a perfect gift for the person who loves horses and Rosemaling.